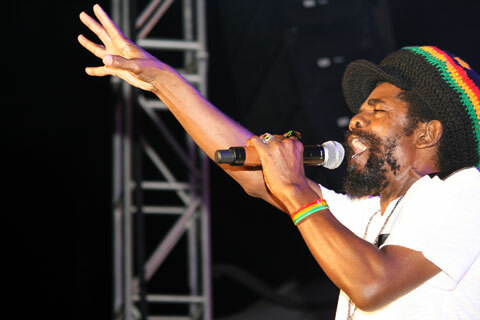 Born Calvin George Scott in Rocky Point, Clarendon, COCOA TEA is one of Reggae’s most talented and versatile artistes. His smooth, easy-going vocal presentation has become his trademark, earning him wide international acclaim; with songs like “Lost MY Sonia,” “Tune In” and “Rocking Dolly,” becoming world anthems in Reggae land. Admired and respected for his fine conscious recordings, COCOA TEA is also known for his unwavering generosity and kindness for the less fortunate. He gained notoriety in March 2008 after releasing a song titled “Barack Obama” in support of the US Presidential candidate by the same name. Cocoa Tea’s song “Jah Made Them That Way” from his 1984 album Rocking Dolly interpolates “Human Nature” by Michael Jackson and “Answer Mi Question” by Dillinger.